Elewisa has long been one of my elusive forebears. She was born Elewisa Hubbard. When she married William Jefferson Gatewood in 1828 in Gallatin County, Illinois, her name on the certificate was Elewisa A. R. Hubbard. When William Jefferson died in 1842, she married Jarvis Pierce three years later, becoming Elewisa Pierce. When their daughter, Mary E. Pierce Phillips died in 1929 in St. Petersburg, Florida, her mother’s name was given on the death certificate as Adyline Rumsey, written over what appears to be another name which was smudged out. That name looks like Elewisa Gatewood. survived: William Jefferson Jr., Ephraim, Nancy and Isaac. William was elected to public office, first to the state Assembly and later to the state Senate. 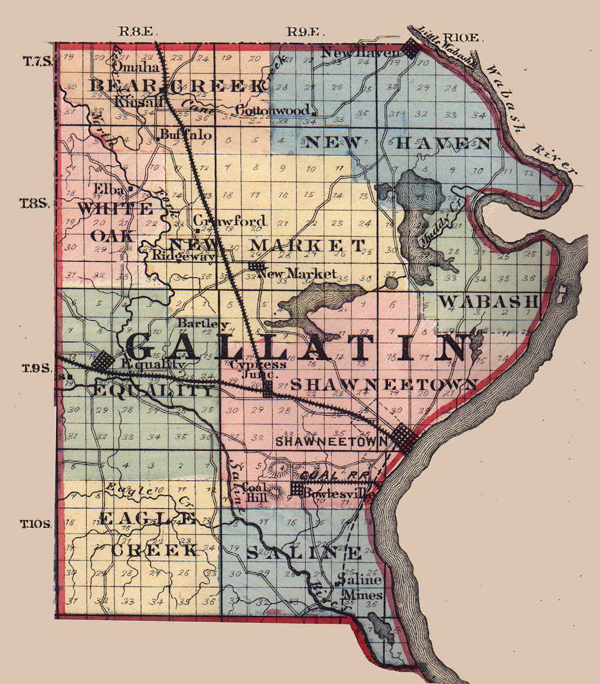 The capital of Illinois was in Vandalia when he was first elected and later in Springfield. While in Springfield during the legislative session, he died suddenly of a heart attack on Saturday night, January 8, 1842, while at his lodgings. He was buried in the Old City Graveyard in Springfield and later reinterred at Oak Ridge Cemetery in Springfield, where Abraham Lincoln was buried. Lincoln and Gatewood, both lawyers at the time, knew each other. Supposedly, Lincoln announced Gatewood’s death at the Supreme Court in Springfield. 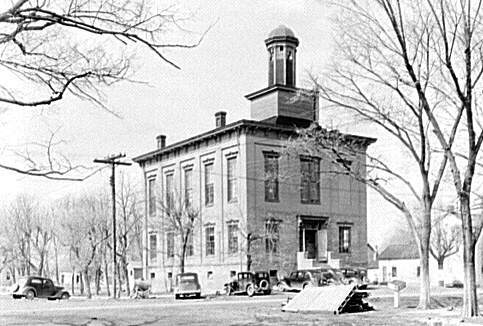 Elewisa married Jarvis Pierce, a widower, in 1845 in Gallatin County, about three years after her husband’s death. They had one daughter, Mary E. Pierce, from whom I descend. Jarvis was a plasterer and a contractor. Sometime in the mid-1860s Elewisa left Jarvis and told him not to come looking for her. She had her reasons for leaving and they were good ones. Jarvis filed for divorce in 1866 on grounds of desertion. According to the divorce proceedings, Elewisa treated Jarvis poorly and gave him no peace. While he was ill, she left with several wagonloads of household goods. We don’t have Elewisa’s side of the story but it can be found in several records. Living in the household with Jarvis and Elewisa in the 1860 census in Harrisburg, Saline County, Illinois, were Unity Barnes, a widow, 41, and her young daughter Louisa, 3. Ten years later, in the 1870 census, there is Jarvis Pearce, 69, Unity Pearce, 52, Sarah E. Barnes, 13, and Nora Pearce, 10. Sarah and Louisa are probably the same person, but Nora is new. Nora turns out to be Madora Etta Pierce, Unity’s daughter, born 20 November 1860 in Harrisburg – according to her death certificate in Oakdale, Louisiana, in 1935. The certificate names her father as Jarvis Pierce. Madora Pierce, 19, married Fredrick C. Burgner, 21, in Harrisburg on 24 December 1879. Jarvis married Unity in September 1866, as soon as Jarvis and Elewisa’s divorce was final. I looked for Elewisa for several years, wondering where she went, if she remarried and when she died. Because of the name “Adyline Rumsey” on her daughter’s death certificate, I tried looking for her under that name – with zero results. I could not find a record of another marriage, nor her death. Jarvis thought she went to St. Louis, Missouri, but I did not find her there. She was not living with her son, William Jefferson Gatewood Jr., in San Diego in 1870. I could not find her Gatewood daughters. So the search for Elewisa was put aside for many years. Recently, while visiting friends in Murphys, California, just a few miles down the road from San Andreas, I decided I needed to know more about Col. William Jefferson “Jeff” Gatewood, Elewisa’s oldest son. Jeff Gatewood went out West to California at the time of the Gold Rush. He was living in Sacramento in 1850 and in San Andreas in 1860. Jeff was a lawyer and the District Attorney there, but is well-known because he was involved in a duel. 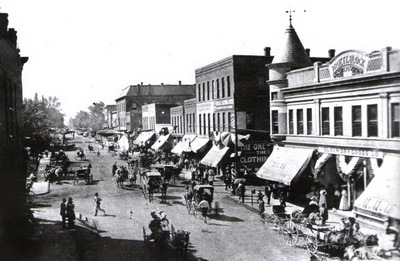 On 16 September 1868 Col. Gatewood had an argument with Dr. Peterson Goodwyn in a saloon on Main Street in San Andreas. Goodwyn called Gatewood a “damned old abolitionist” and a duel ensued. Rifle shots were fired. Gatewood apologized to the wounded Goodwyn who later died. No charges were filed as Goodwyn felt Gatewood had acted honorably. Gatewood later moved to San Diego at the urging of his brother-in-law, Phillip Crosthwaite, who wanted him to come down and publish a newspaper in San Diego – which he did. 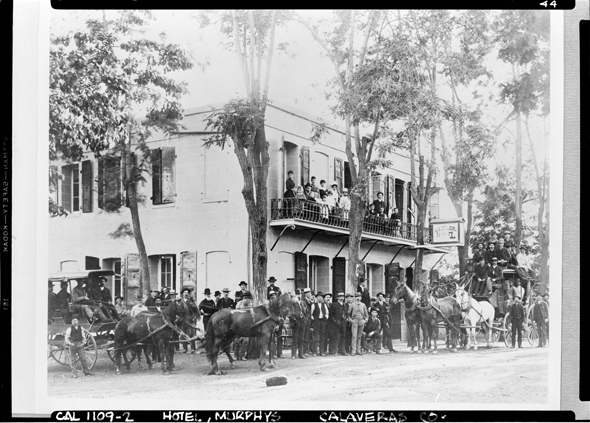 He had been publishing the San Andreas Register in Calaveras County, so in 1868 he took his equipment, moved to San Diego and became one of the co-founders of the San Diego Union. While searching for Jeff Gatewood I found a Gatewood descendant who had shared Gatewood information in a genealogy forum. It was there I found that Elewisa was living with her daughter Nancy Gatewood Addison and her family in White County, Illinois, in 1870. Her name in the census was given as Louisa Gatewood – so she had gone back to her first husband’s name. She died in 1877 in St. Louis and is buried there at Frieden Cemetery. 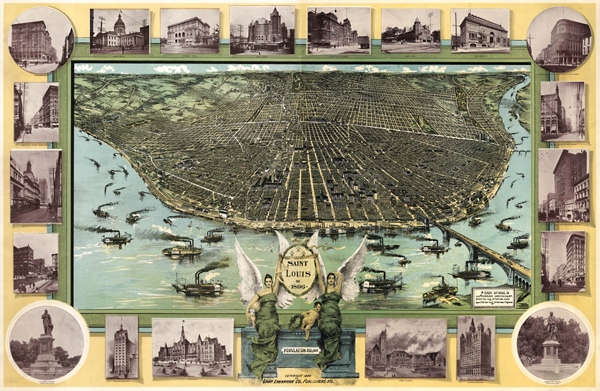 The cemetery would be located in the top right corner of the map above where the Mississippi River curves around an island. Next time I am up in San Andreas I will photograph the street sign at Gatewood Avenue and East St. Charles Street (Highway 49), a country lane near to the cemetery. This entry was posted in Family Research, Gatewood Family, Genealogy, Hubbard Family, Pierce Family and tagged Elewisa Hubbard, Gallatin County, Genealogy, Jarvis Pierce, Saline County, St. Louis, William Jefferson Gatewood. Bookmark the permalink.